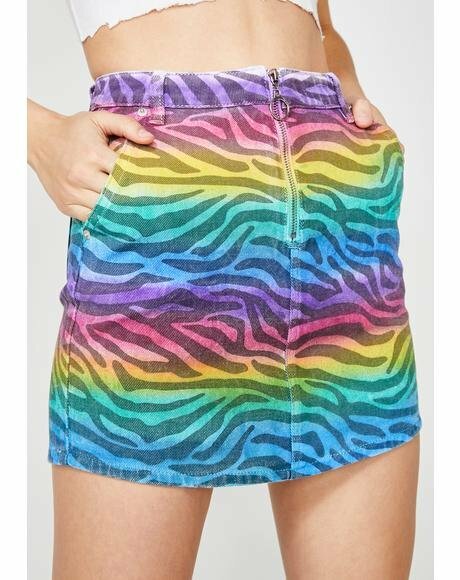 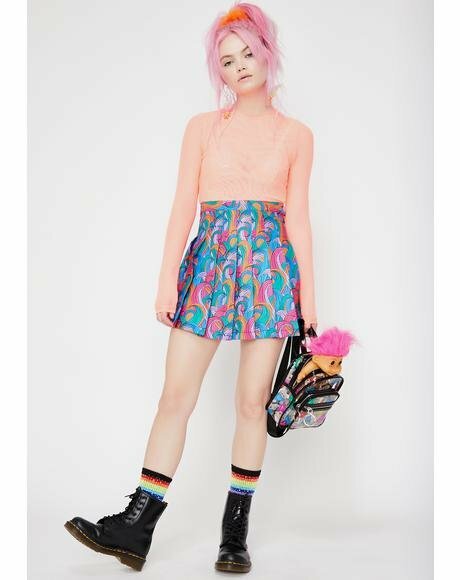 J Valentine Rainbow Unicorn Skirt, because you know they are real, now show the world! 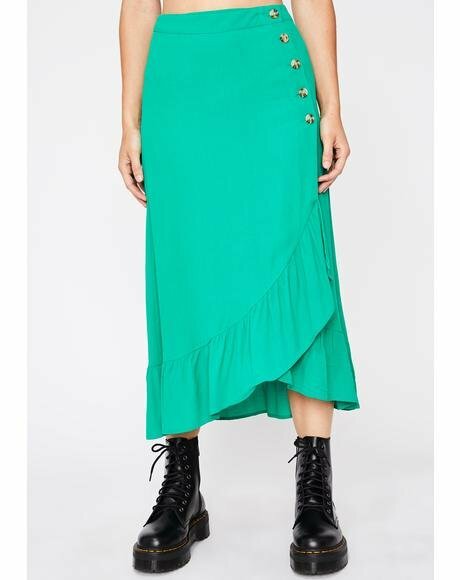 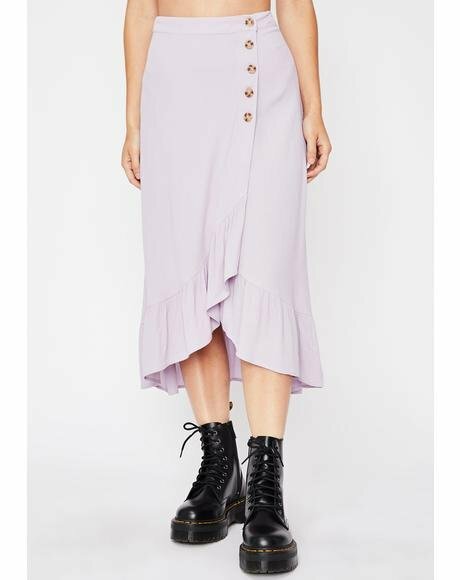 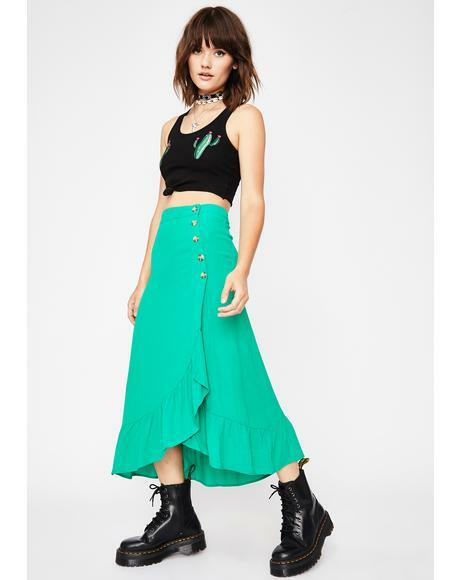 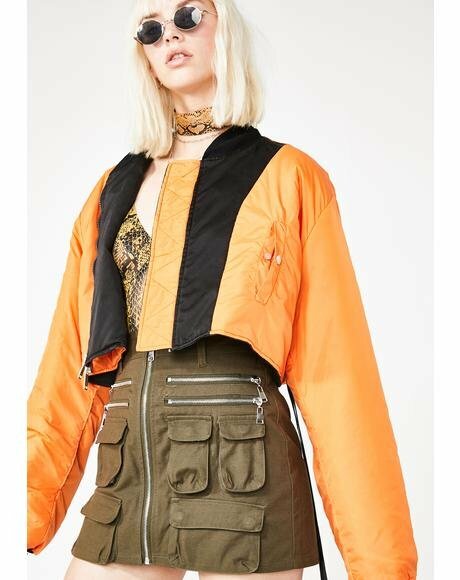 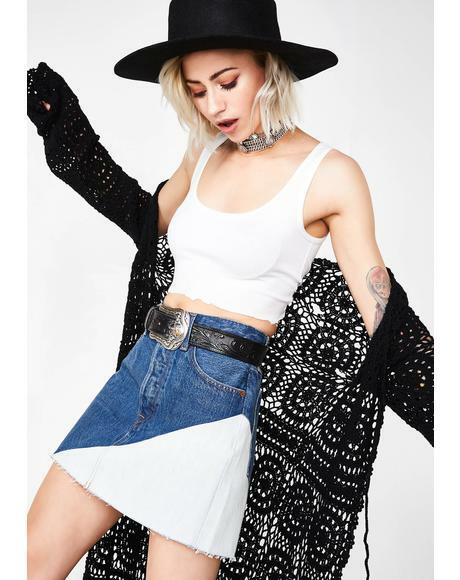 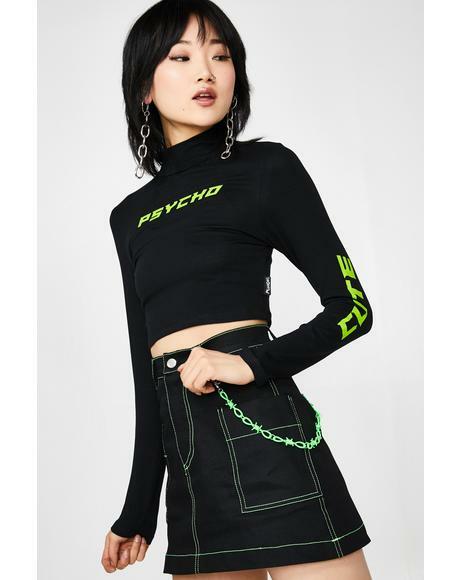 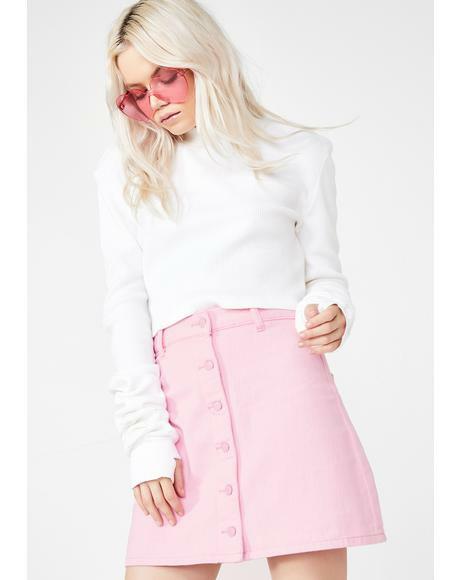 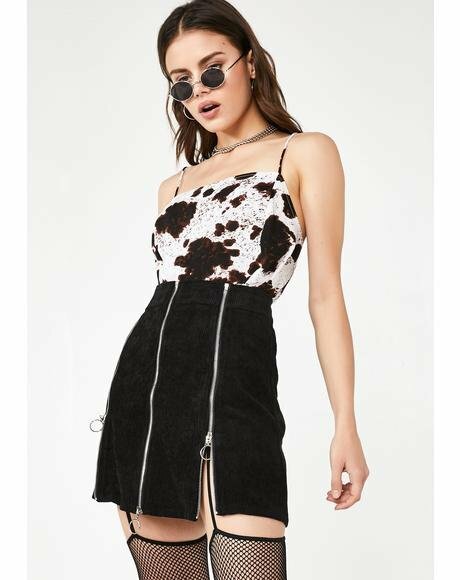 This soft velvety skirt feels like yer in a fantasy, and with a slightly stretchy fabric construction, youll feel like everything is exactly where it should be. 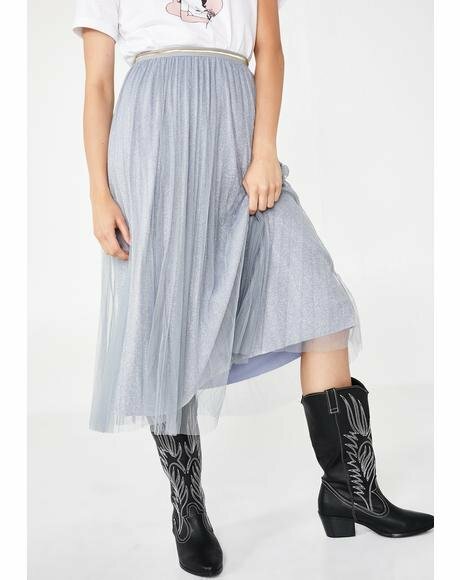 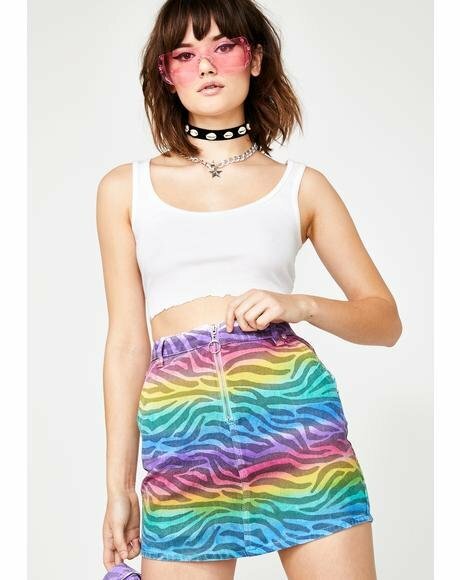 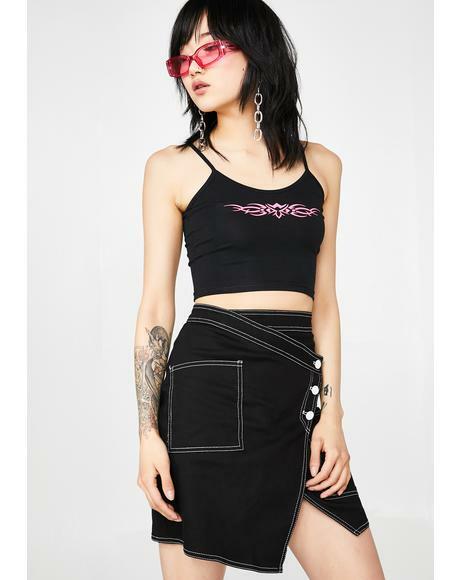 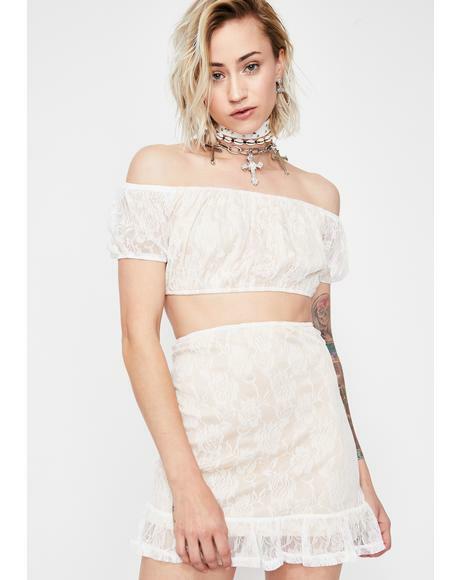 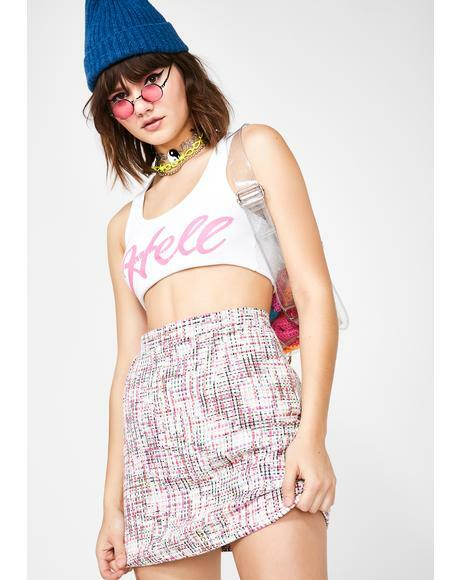 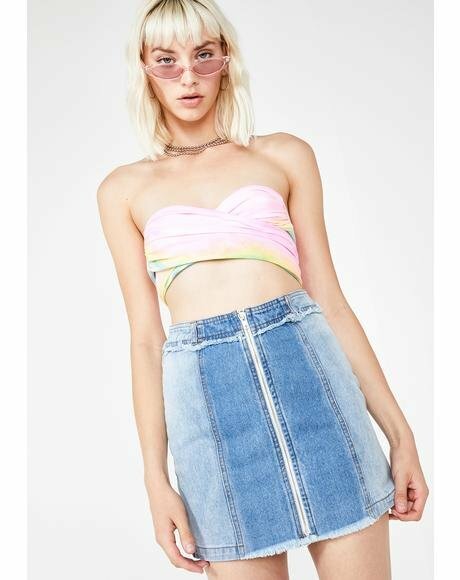 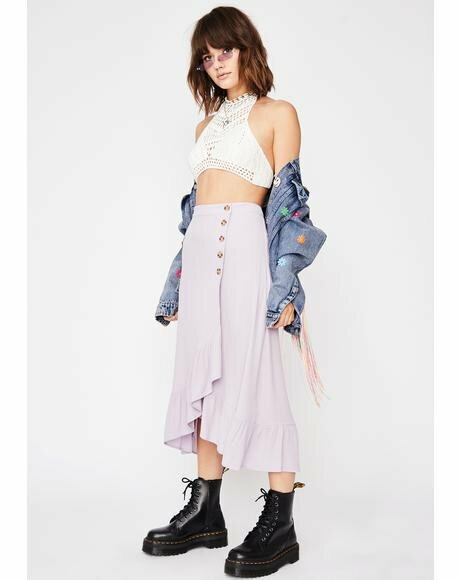 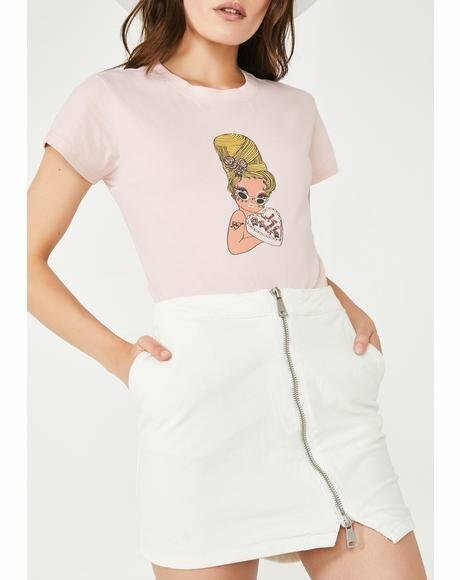 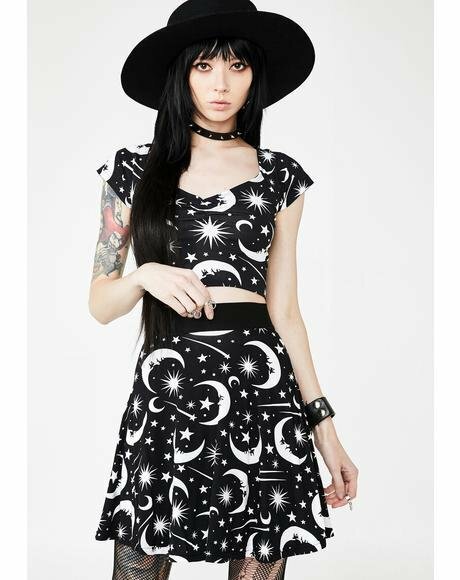 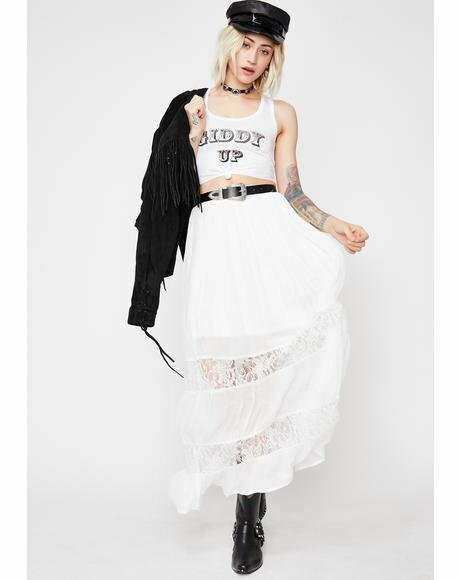 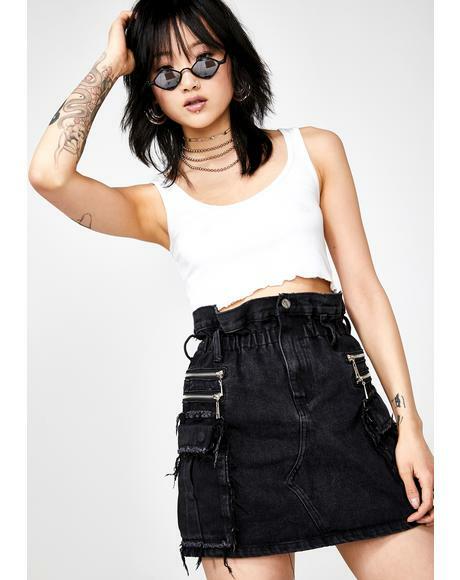 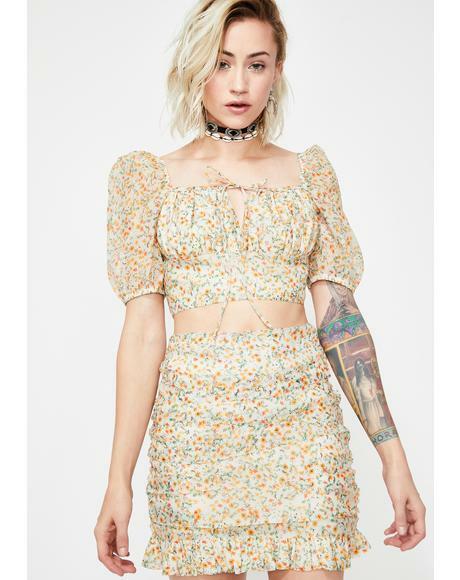 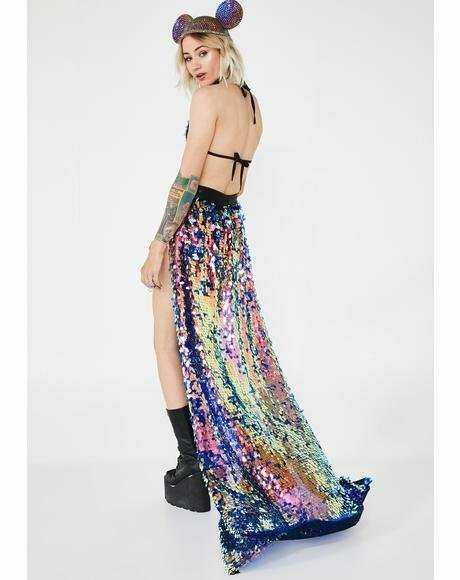 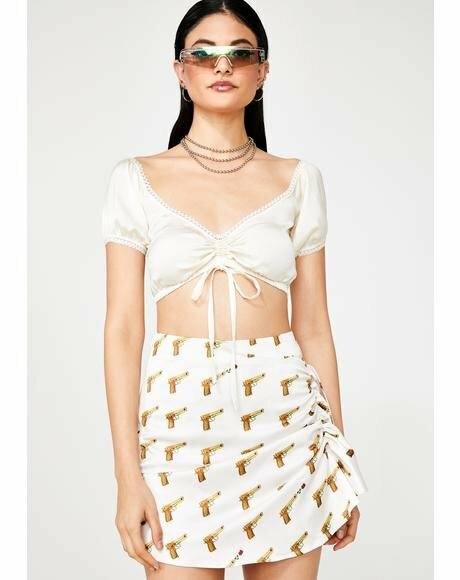 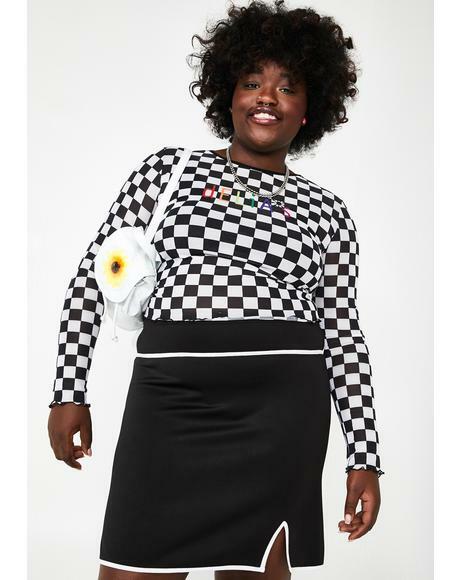 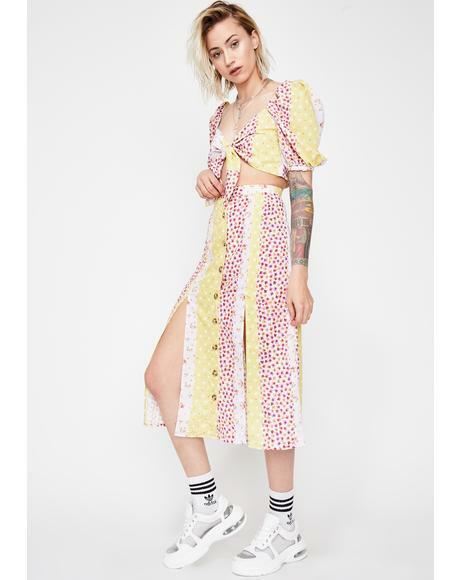 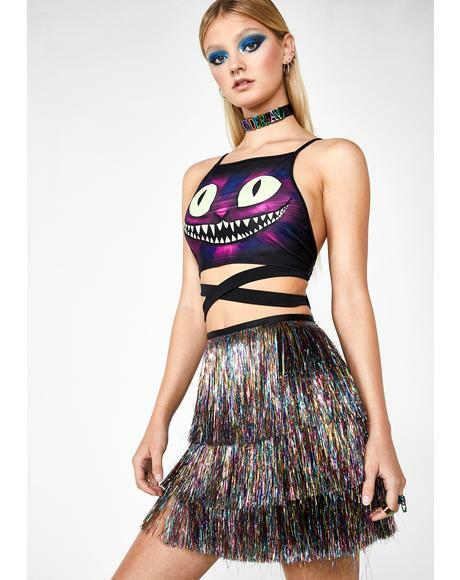 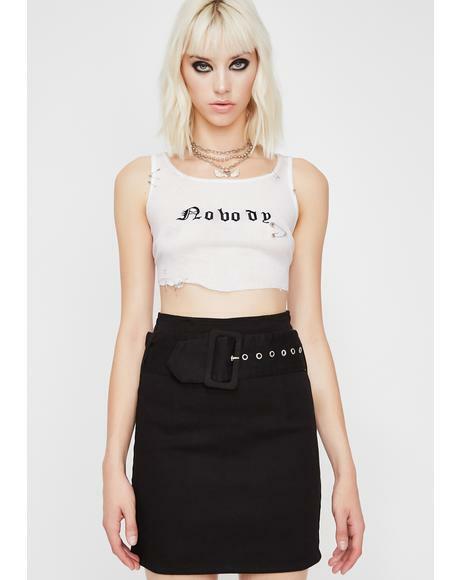 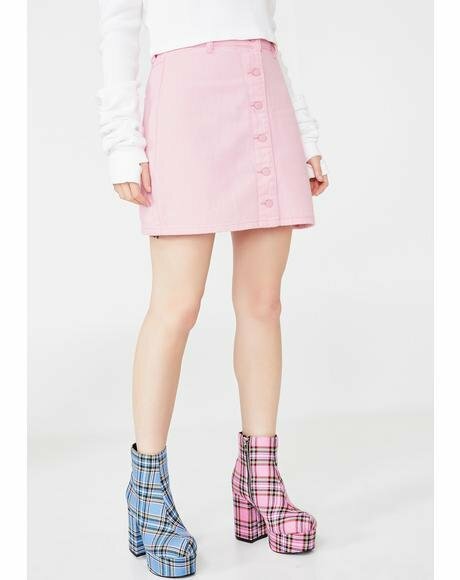 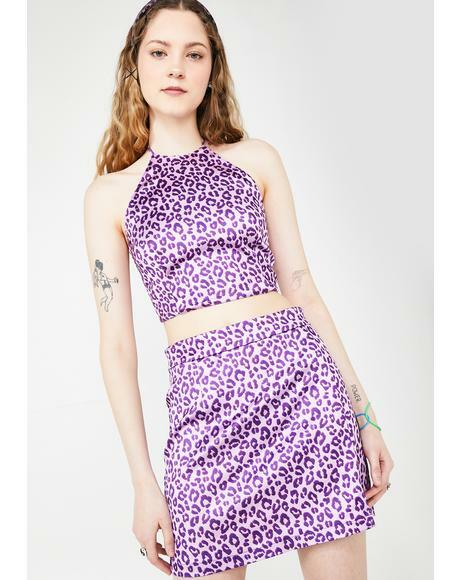 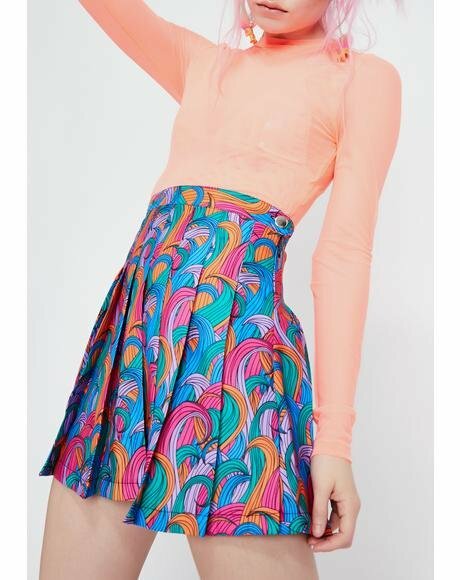 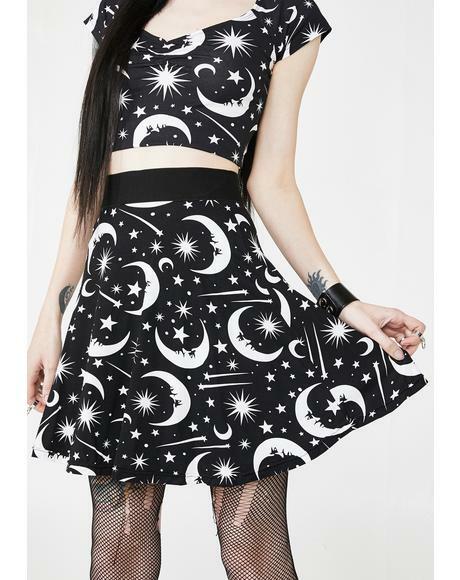 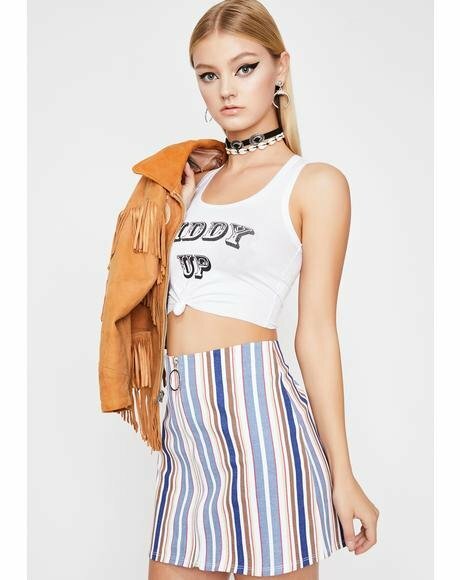 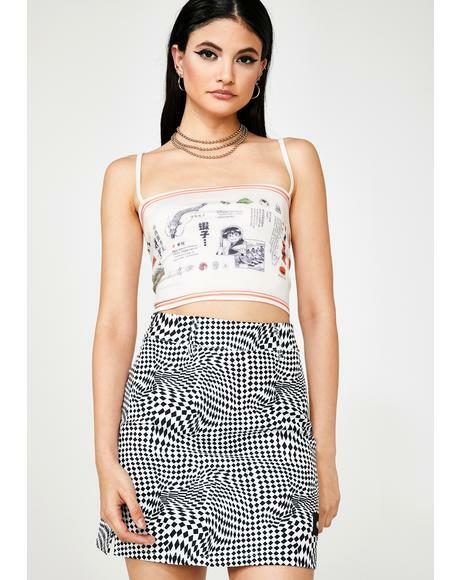 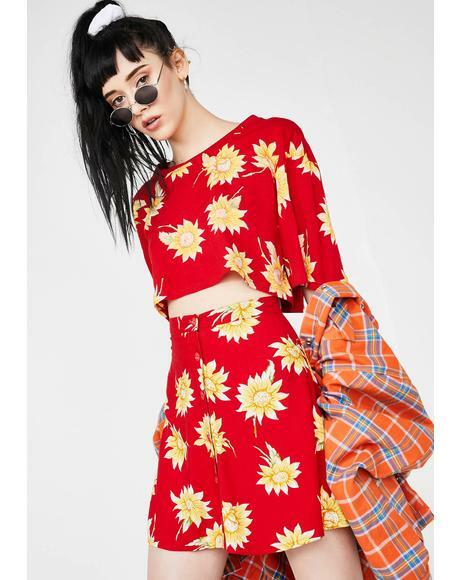 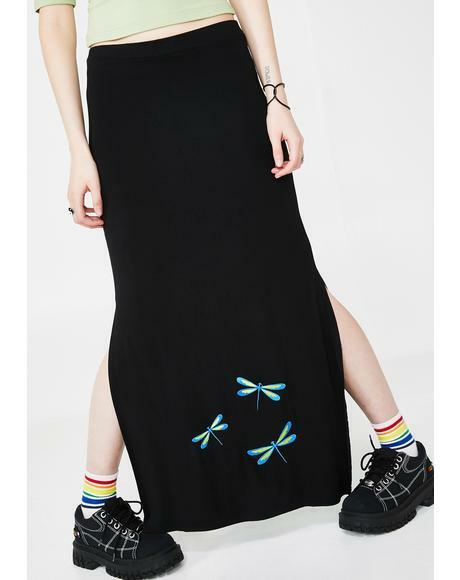 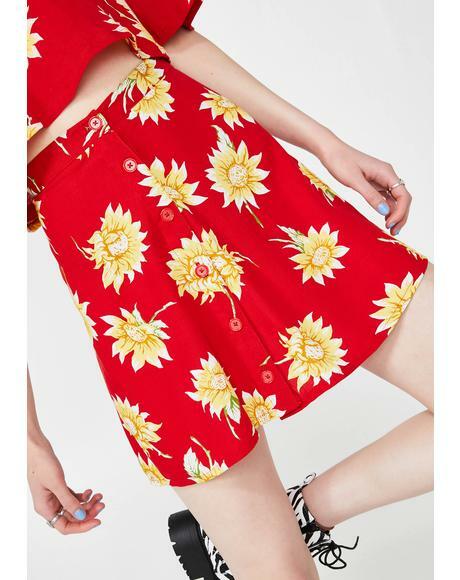 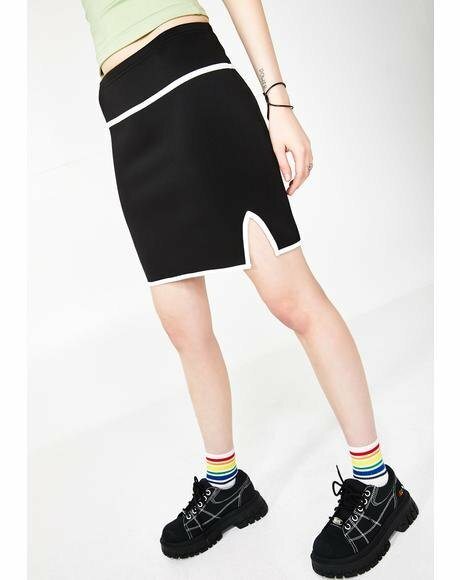 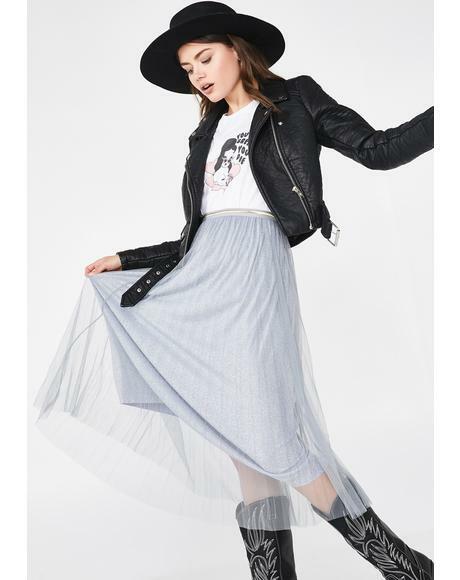 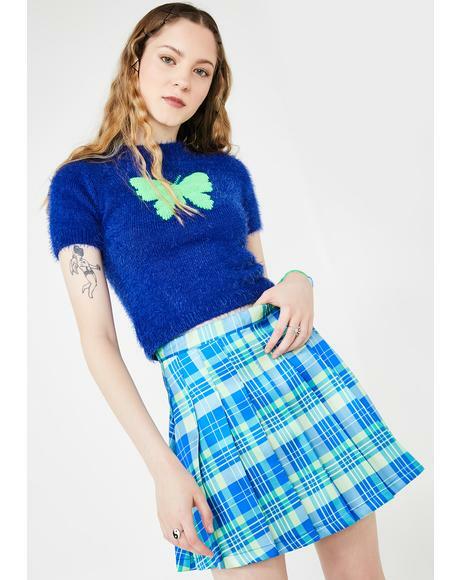 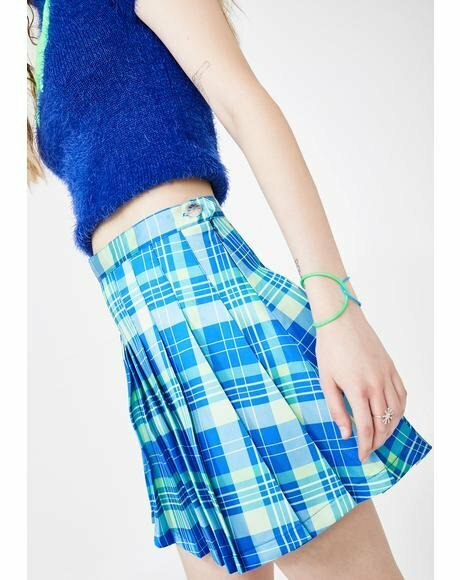 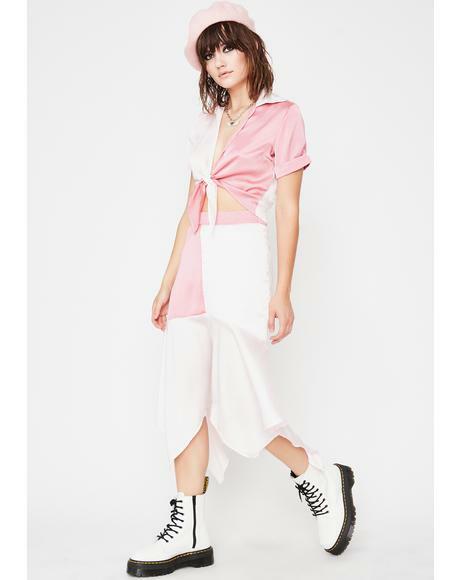 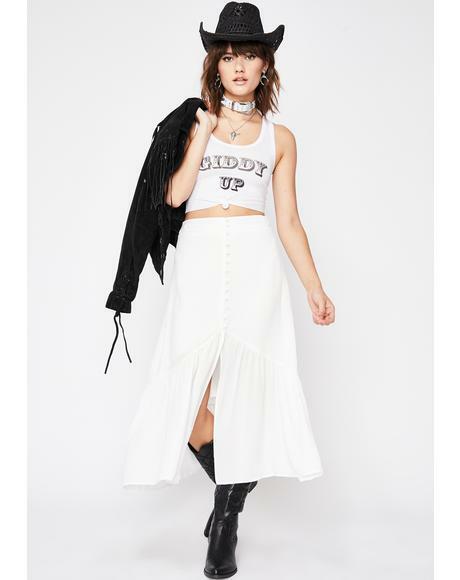 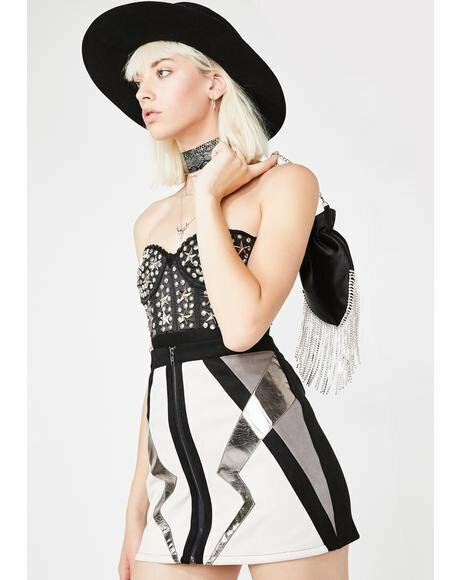 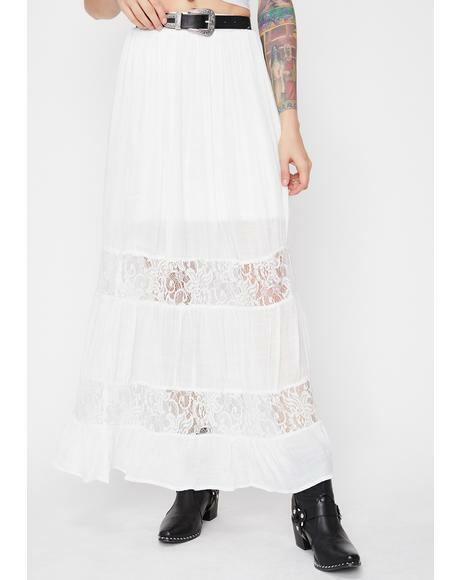 Featuring a classic circle skirt cut that creates a slightly pleated silhouette, completed with an all over rainbow, unicorn, star and heart print and a flattering wide waistband, that sits right above yer hips creating that perfect curve you crave. 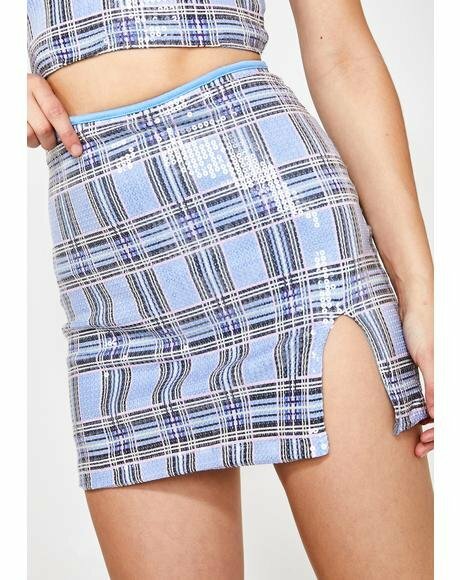 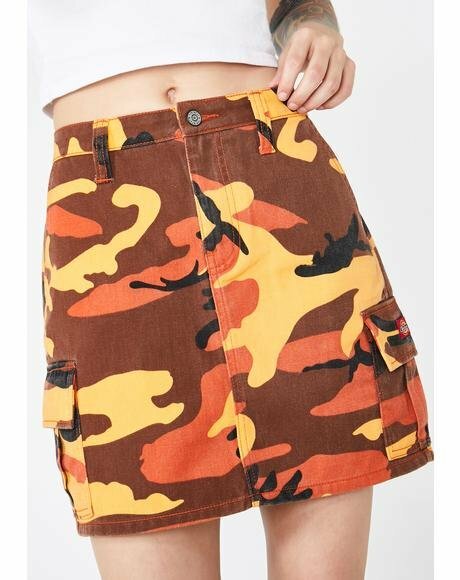 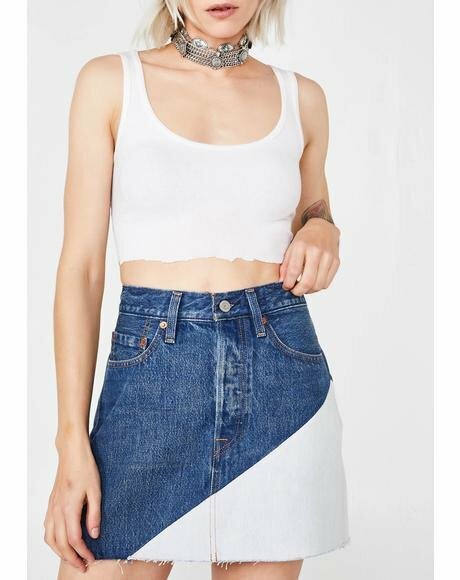 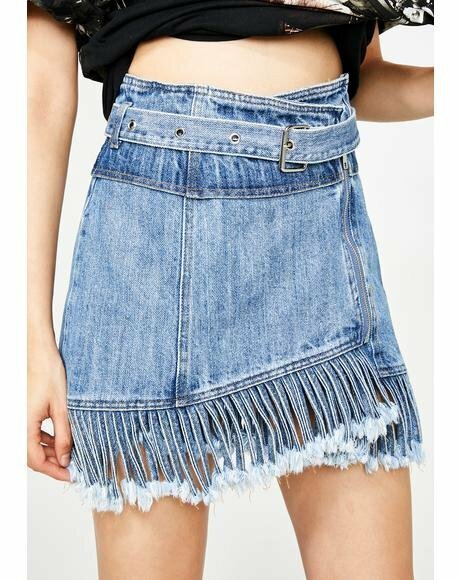 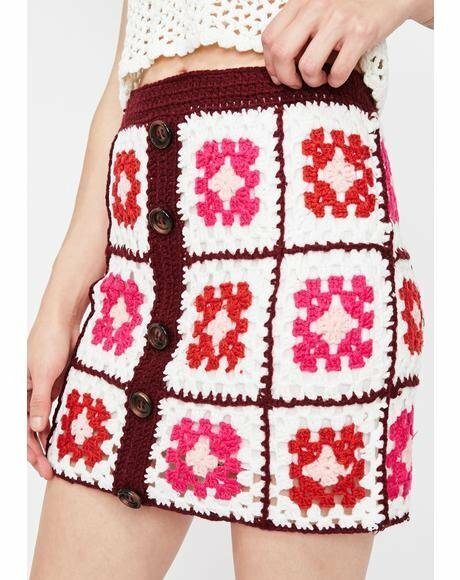 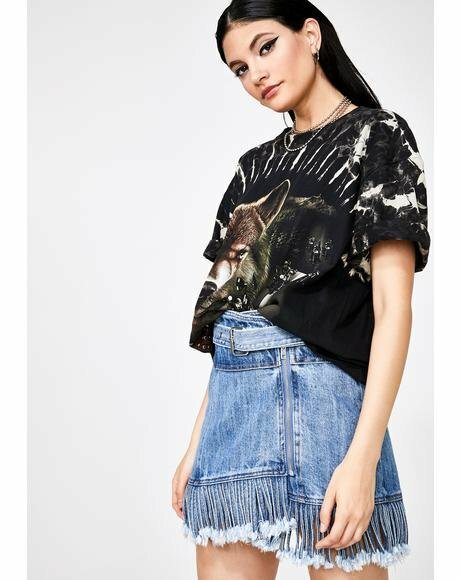 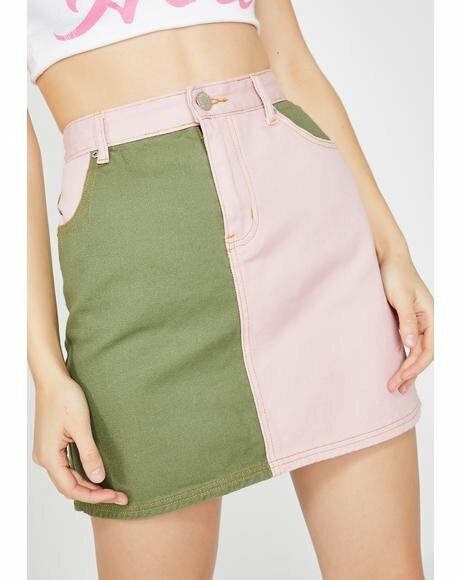 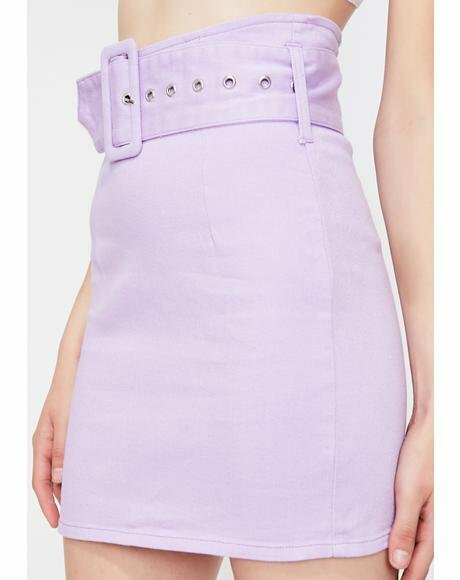 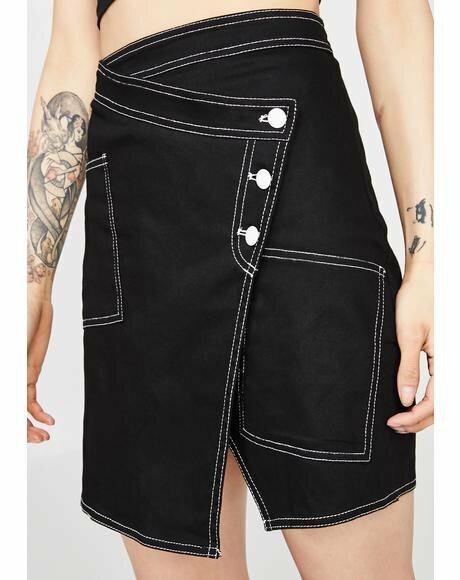 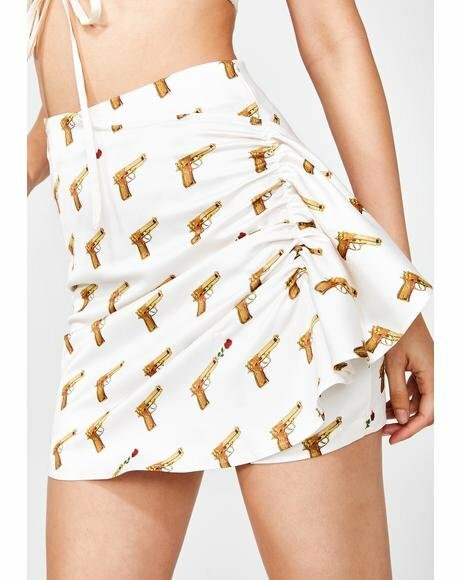 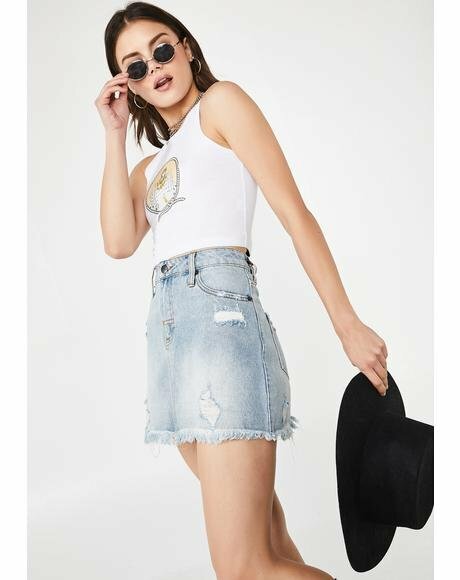 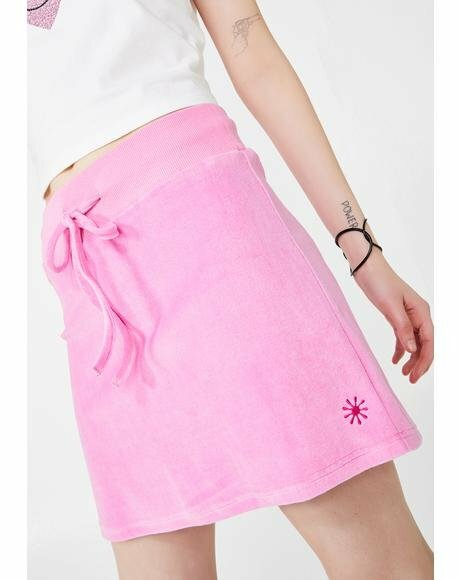 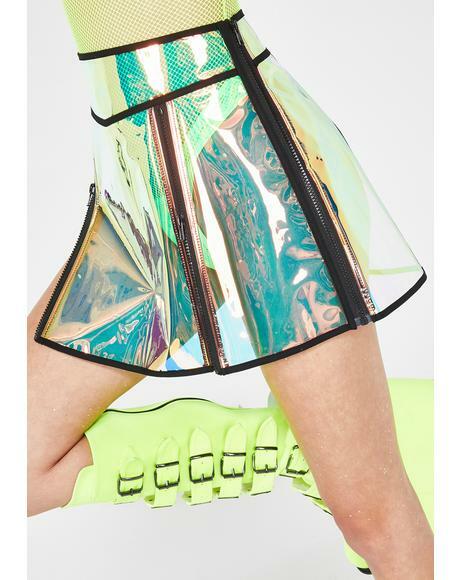 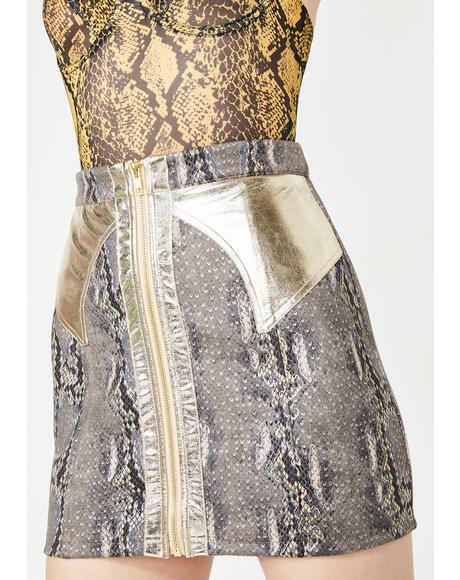 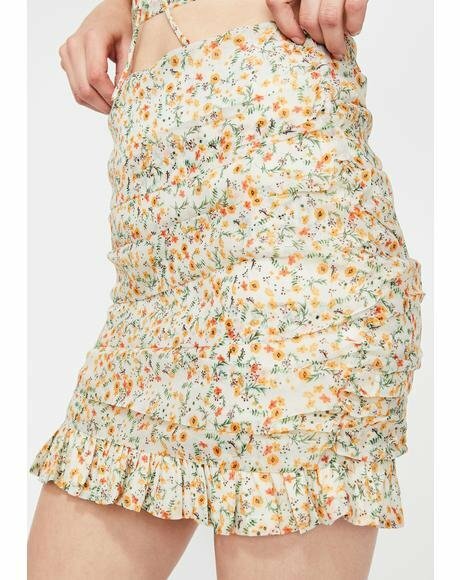 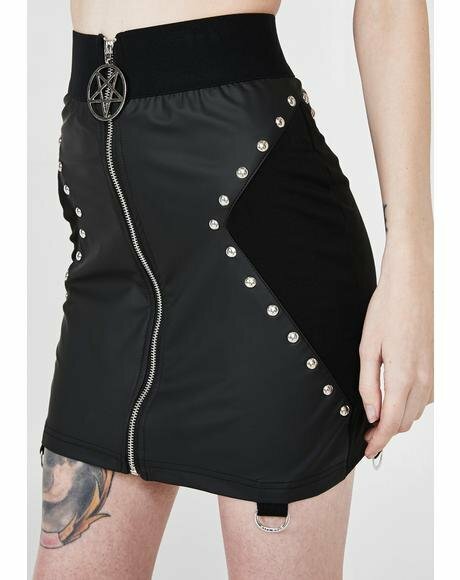 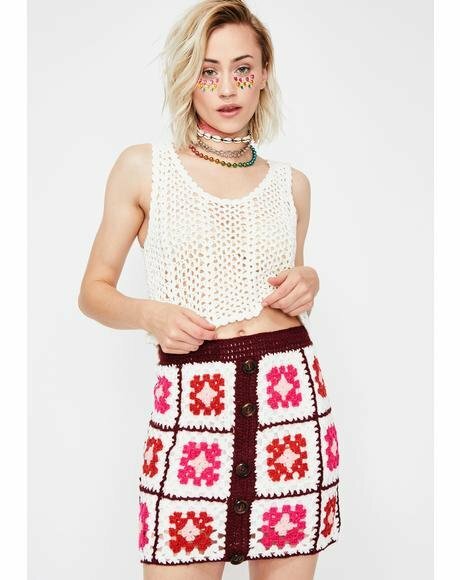 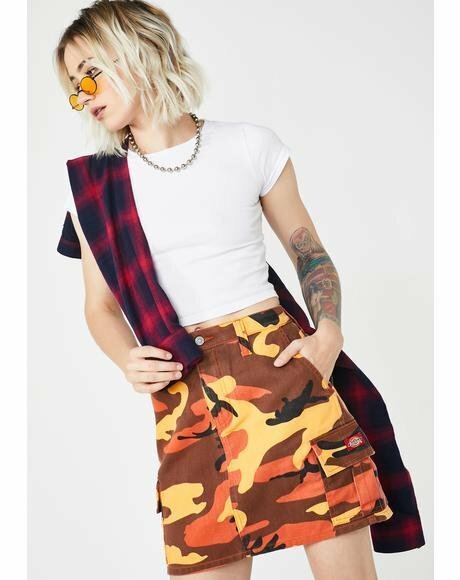 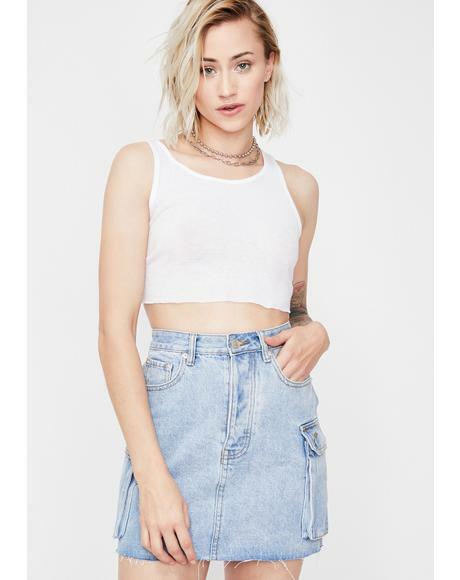 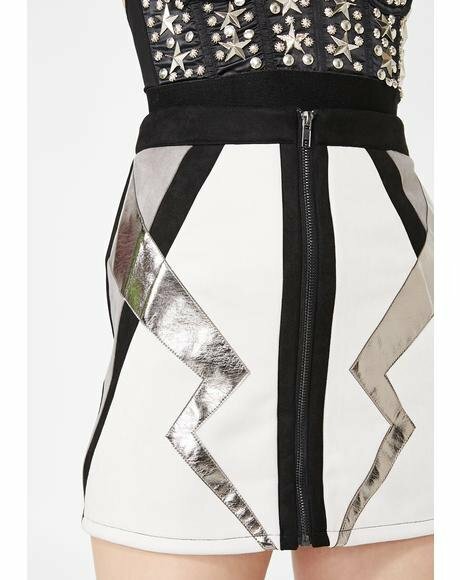 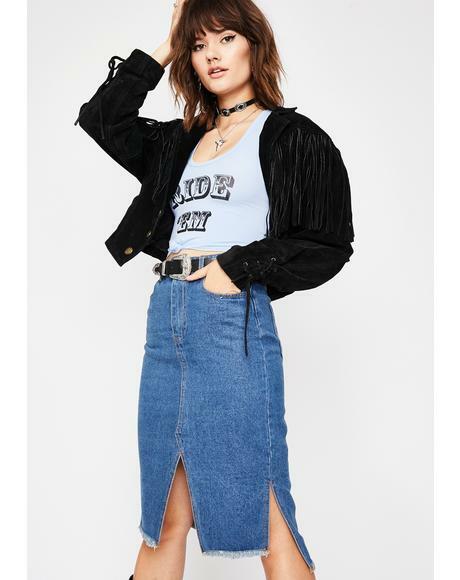 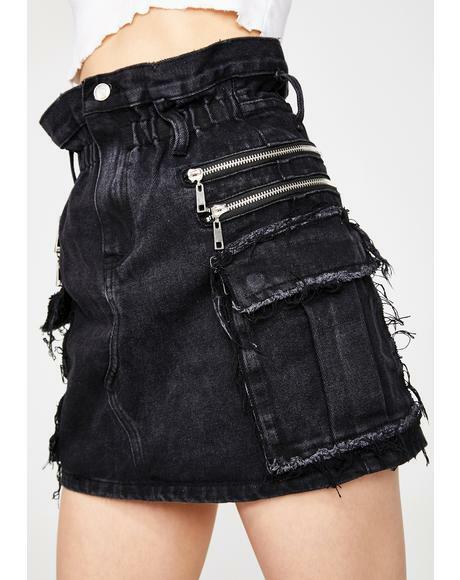 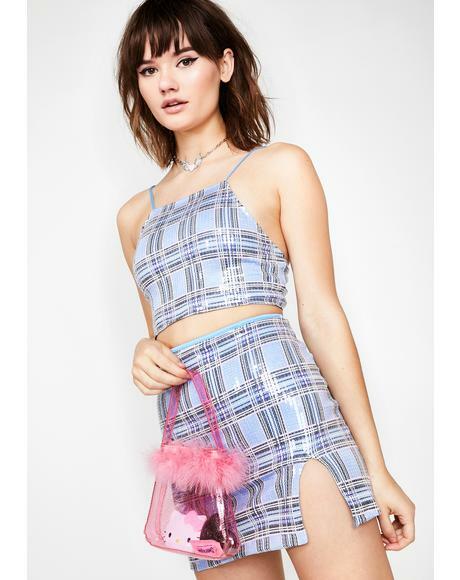 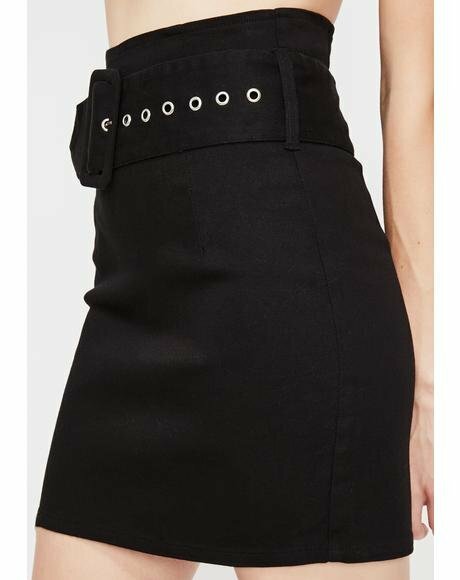 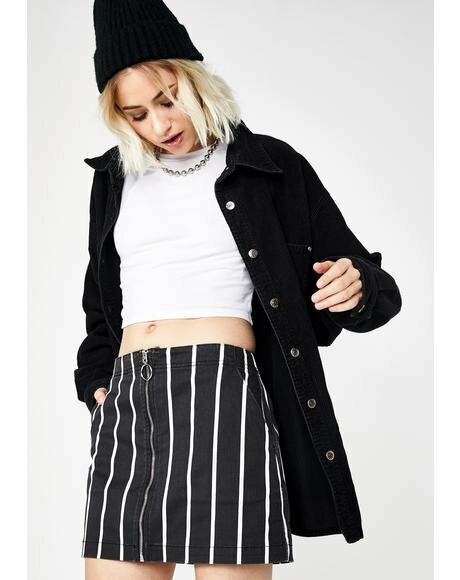 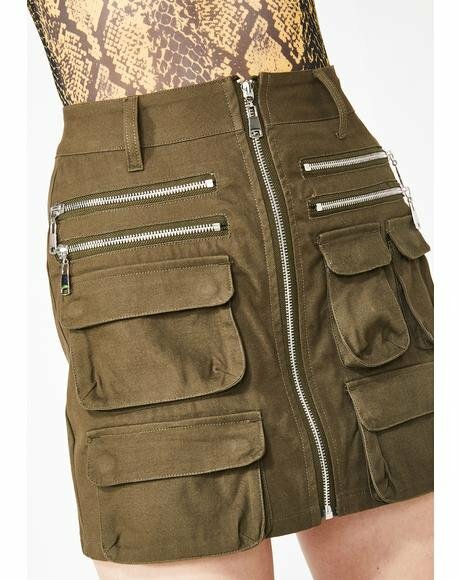 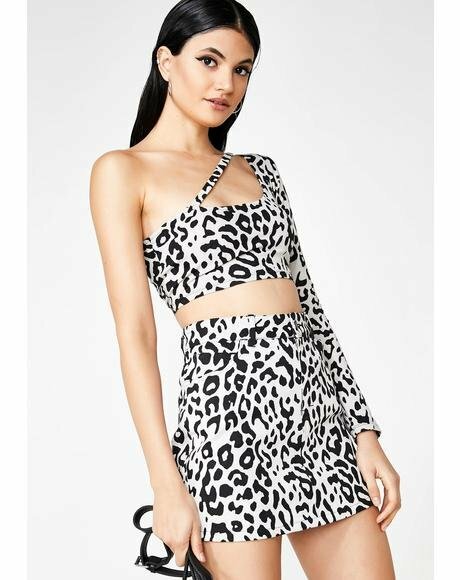 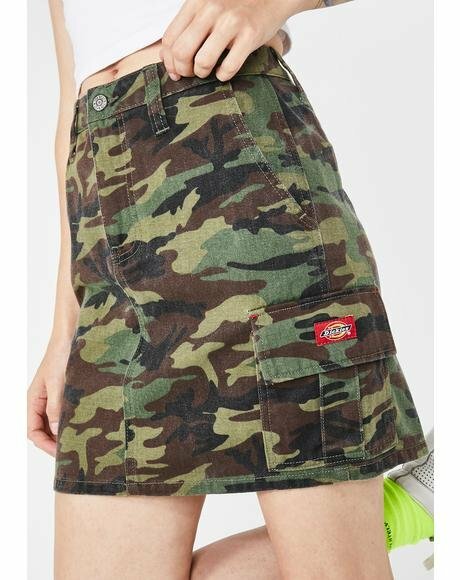 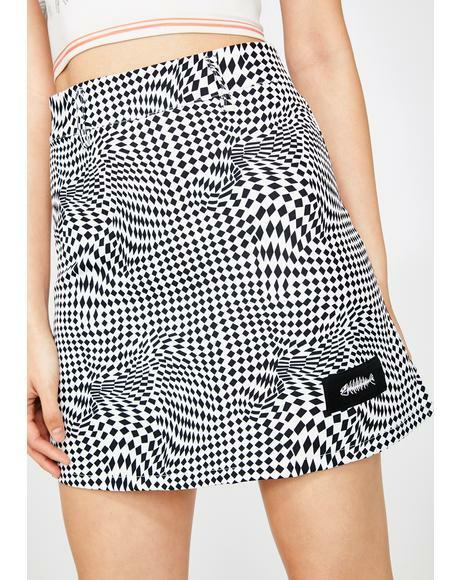 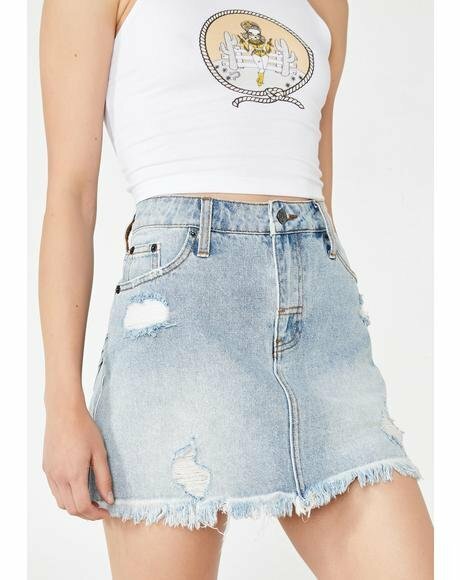 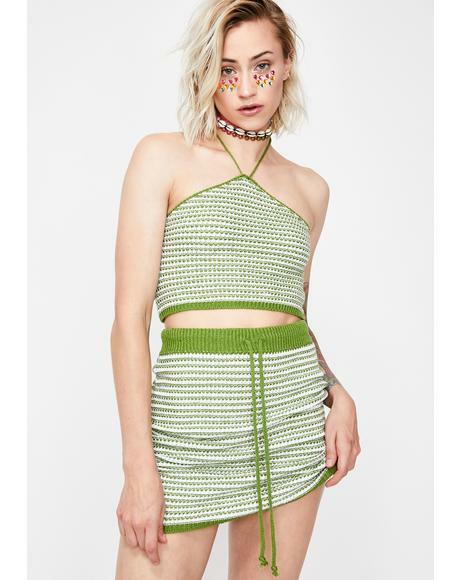 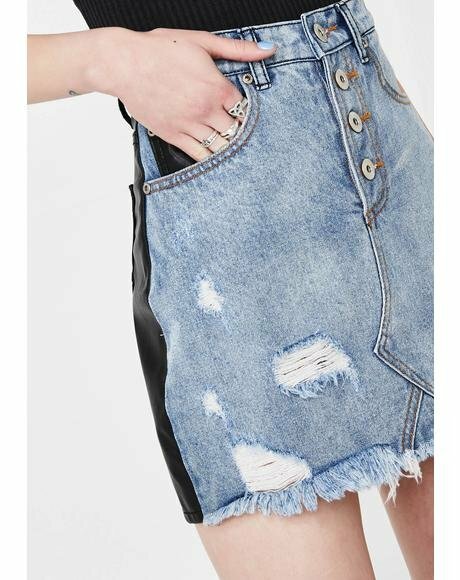 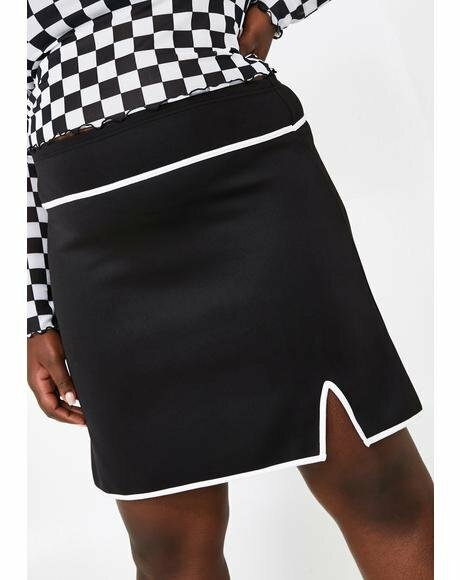 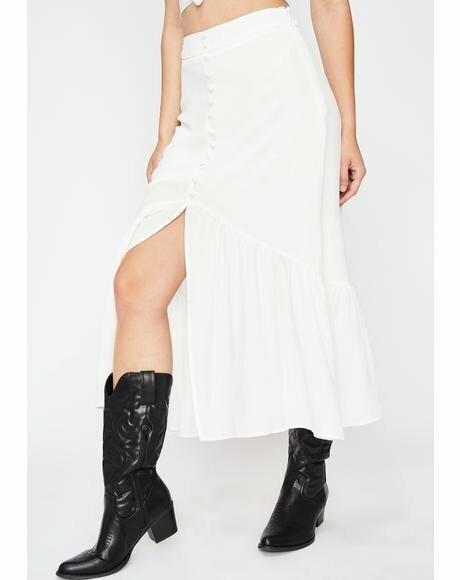 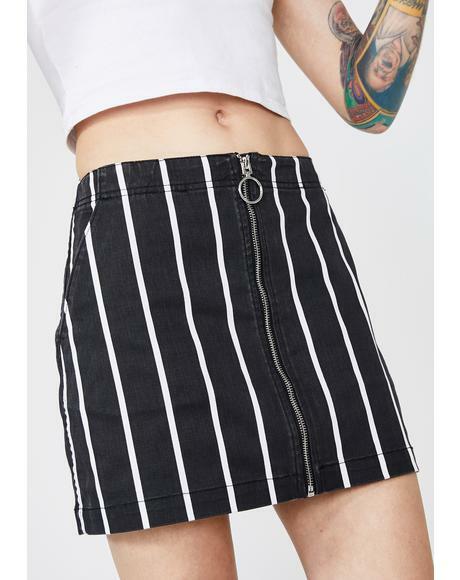 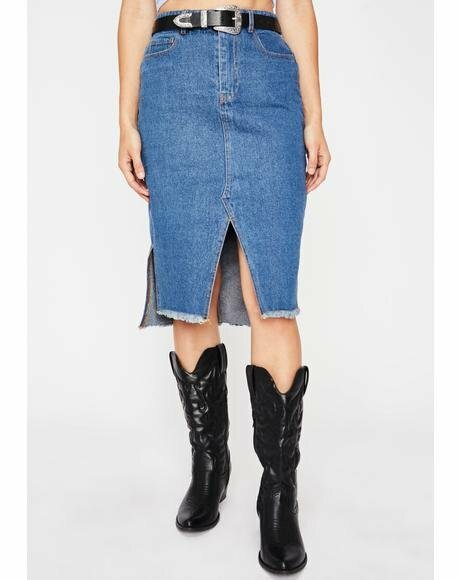 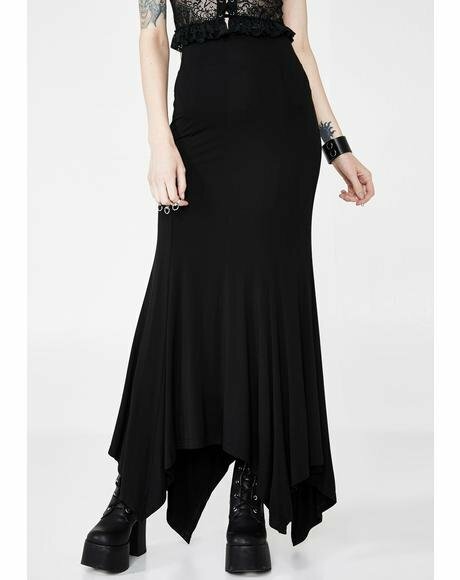 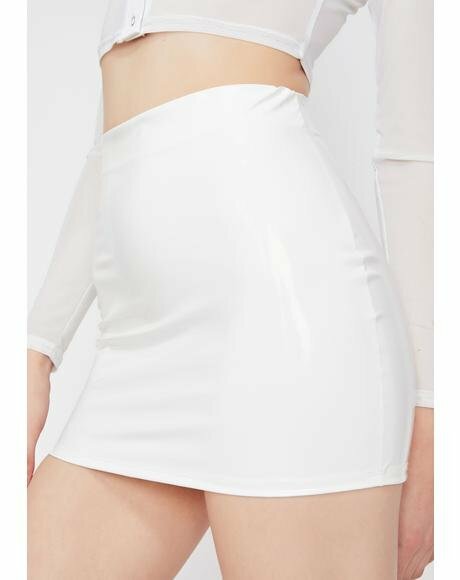 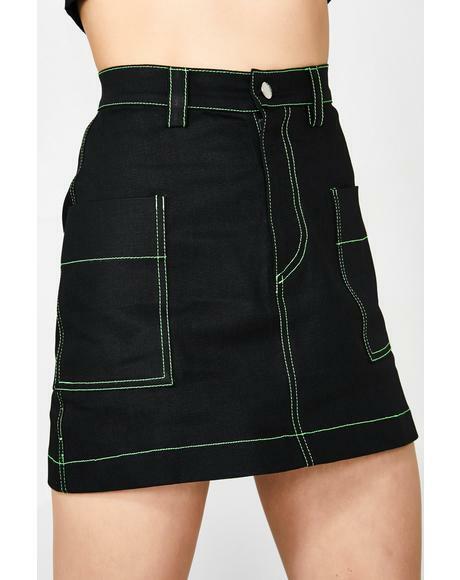 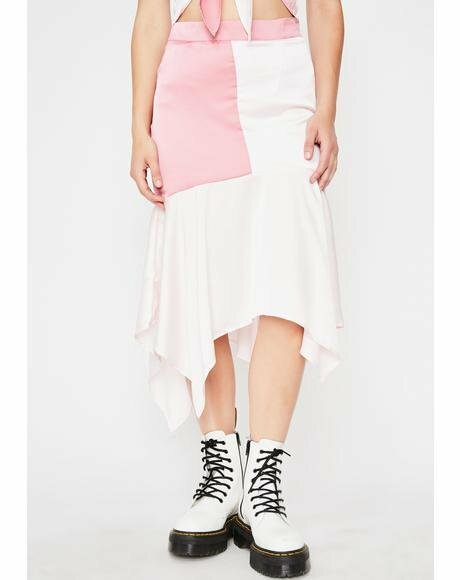 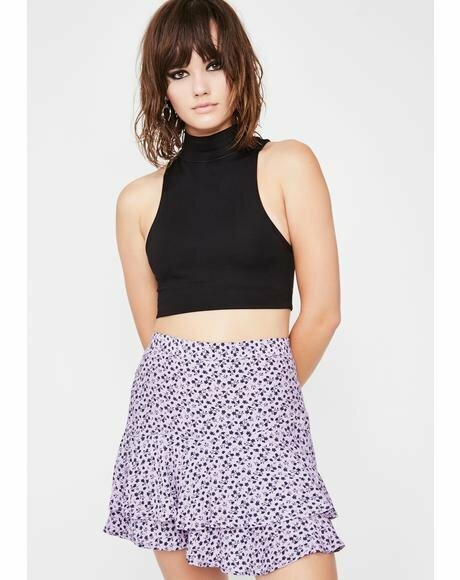 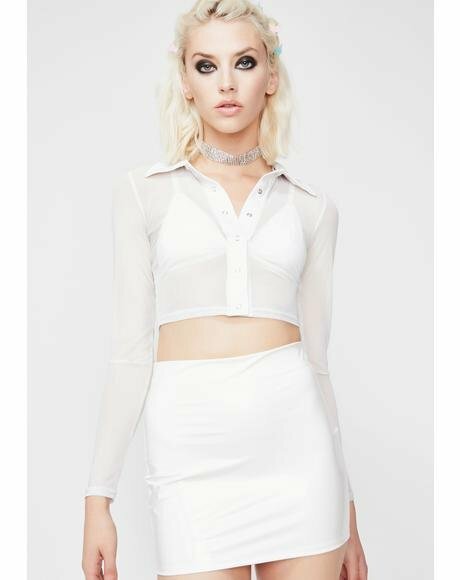 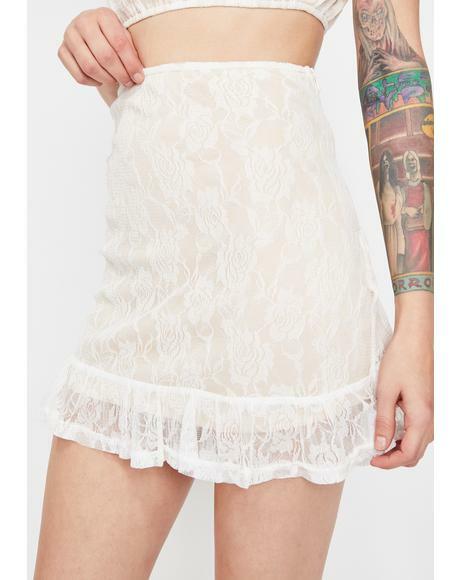 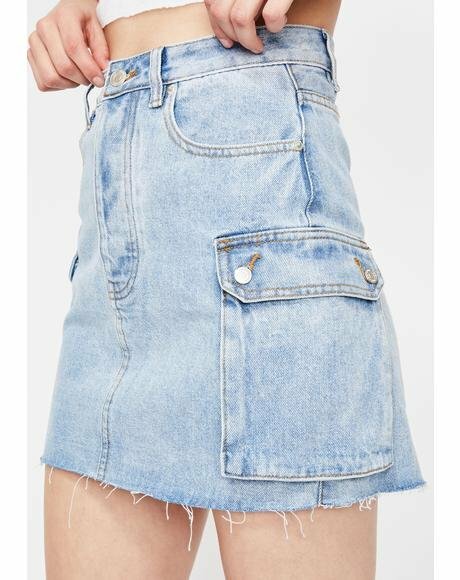 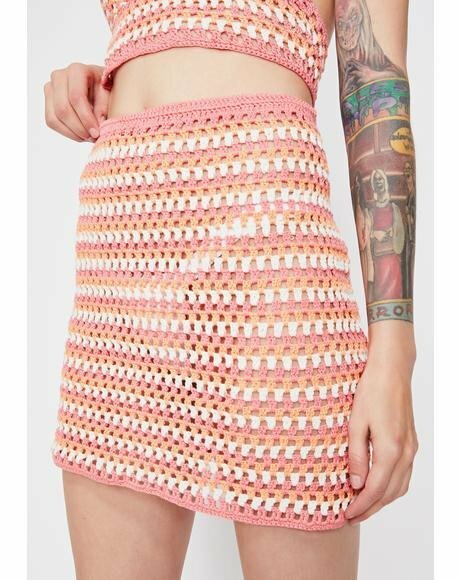 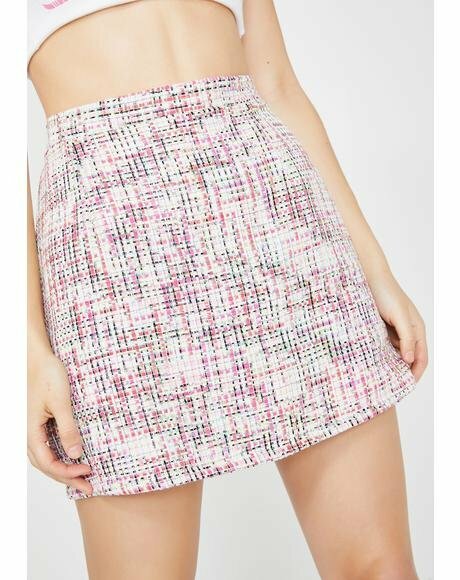 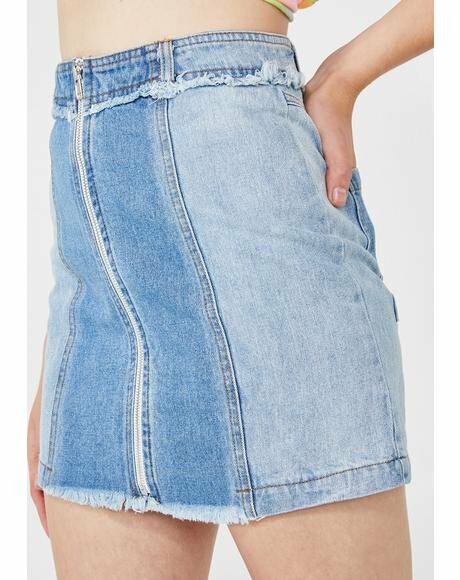 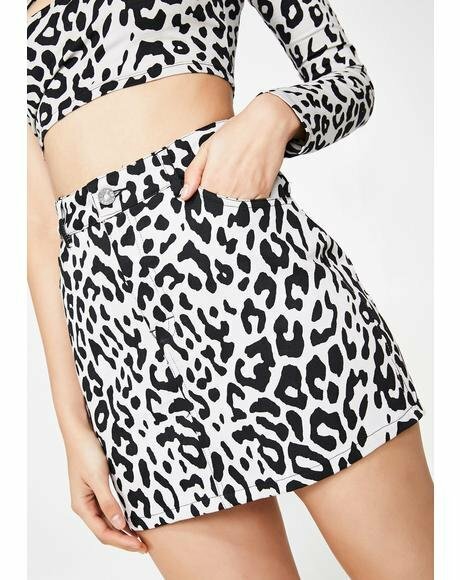 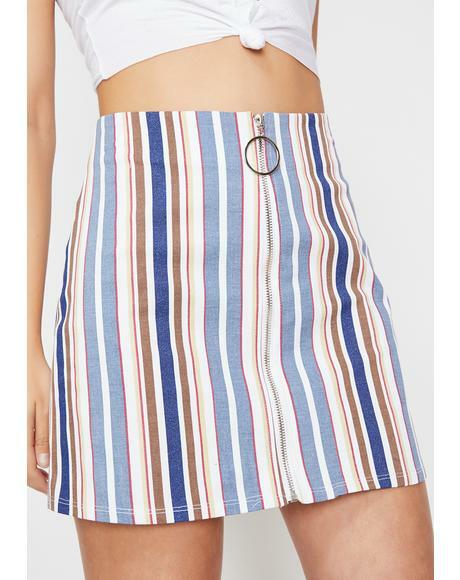 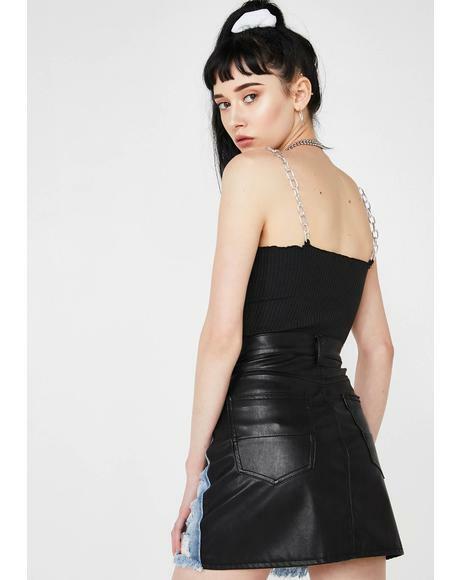 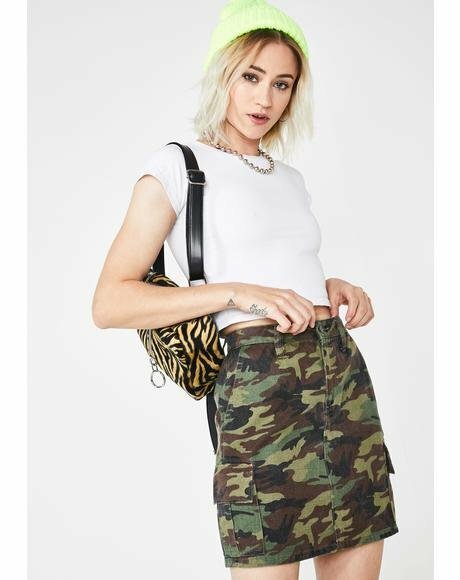 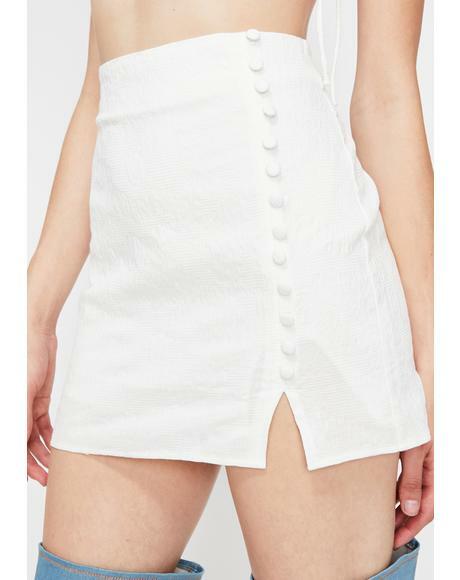 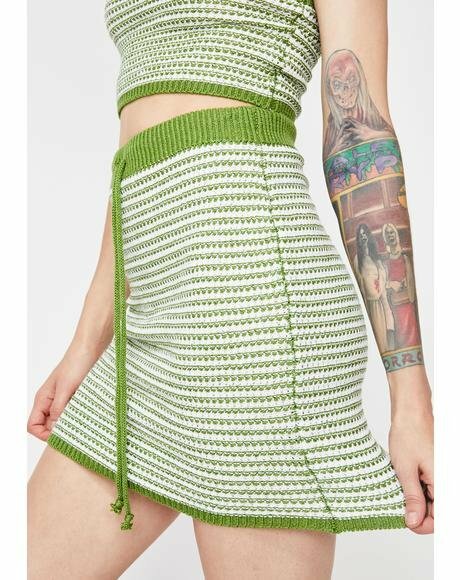 With no buttons or zippers to poke you inappropriately, this skirt will make a believer outta anyone.